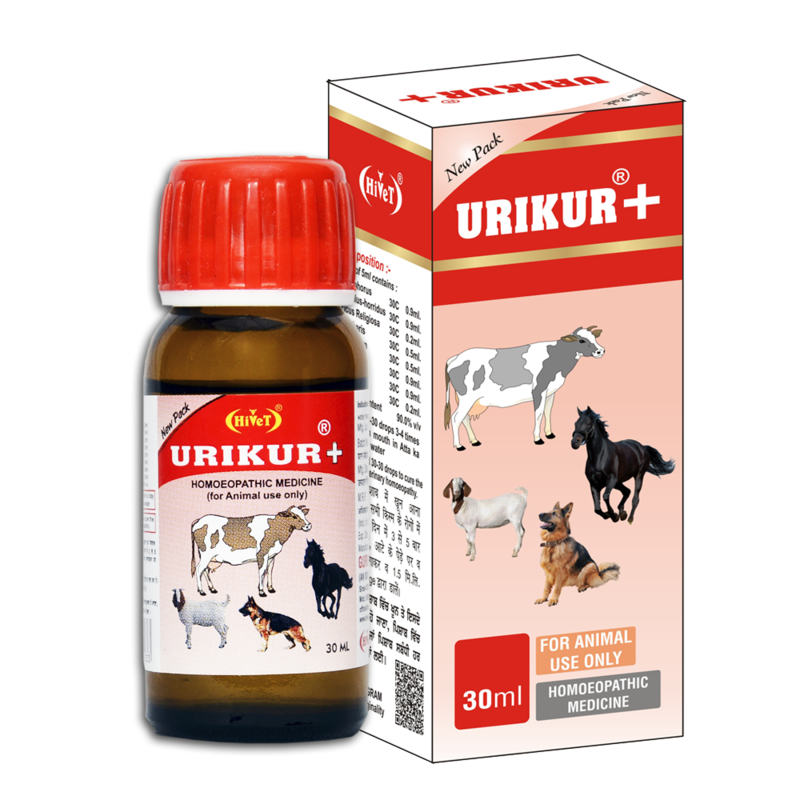 Urikur is used for Haemoglobinurea or red water fever, Haematuria, Urithritis, blood in urine, Red water diseases is characterized by high temperature with destruction of RBC’s leading to anaemia and haemoglobinurea. Red water fever, Blood in urine, Difficulty in passing urine by animal due to any reason. सभी प्रकार के पेशाब के रोगों के लिए बहुत बढ़िया है पशु के पेशाब करने में तकलीफ होना, पेशाब का पूरी तरह से लाल आना जैसे कि Haemoglobinurea During this Haemoglobinurea (Red water disease ) because of excessive breakdown of RBC’S there is high grade fever as well . 30-30 drops 3-5 times daily Over Roti or Atta Ka Pera or 1.5 ml directly in mouth.